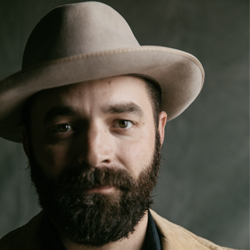 Drew Holcomb has collected many souvenirs over the course of his musical career. A road warrior for more than a decade, Drew has spent his adulthood onstage and on the road, traveling from place to place with a catalog of vibrant, honest songs that explore the full range of American roots music. He released a new, highly collaborative album in 2017 entitled “Souvenir”. The album focuses on the things that truly stick with you - family and friends, music and memories, people and places - in a fast-moving world.